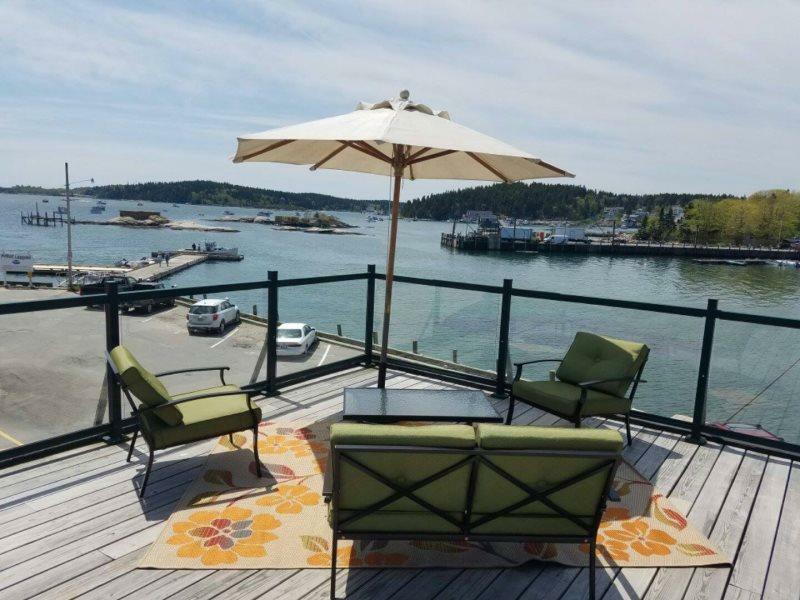 Fisherman’s Loft is a bright and newly remodeled apartment located above the Fisherman’s Friend Restaurant in Stonington. Enjoy a unique prospective on Stonington village and panoramic views of the thoroughfare from almost any window. 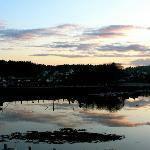 Fisherman’s Loft is two bedrooms and two bathrooms and is comfortable for up to six guests. The space is open; with great natural light and cathedral ceilings. There are many thoughtful features throughout the home including hardwood flooring, wireless internet, 48 state calling, premium cable service, new mattresses and tasteful decor. 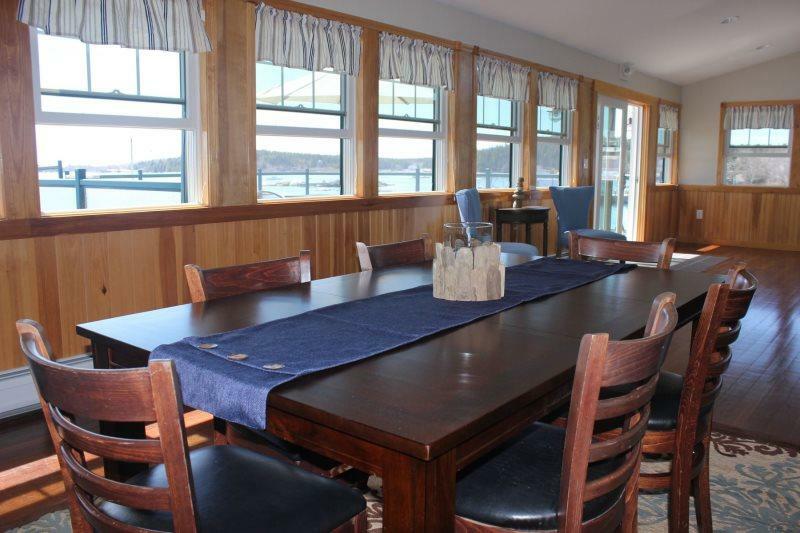 Fisherman’s Loft has an open concept floor plan with the living area, dining room and kitchen all in one space. The kitchen has granite countertops, tile flooring, all new appliances including a dishwasher, an island with stools to utilize for the more casual dining and service for six. The dining area includes a table with seating for six. Fisherman’s Loft has an assortment of comfortable lounging options, including a nook with two upholstered chairs and a large sectional couch with a built in chaise lounge. The living area also has an HDTV with premium cable service included. There are two bedrooms at Fisherman’ Loft. The first bedroom has two double beds a dresser and a nightstand. The second bedroom, also known as the master bedroom has a king bed, a dresser, a large closet, a television with cable service and a full, private bathroom. Fisherman’s Loft has a stackable washer and dryer and an iron and board all in a tidy closet in the entry area. 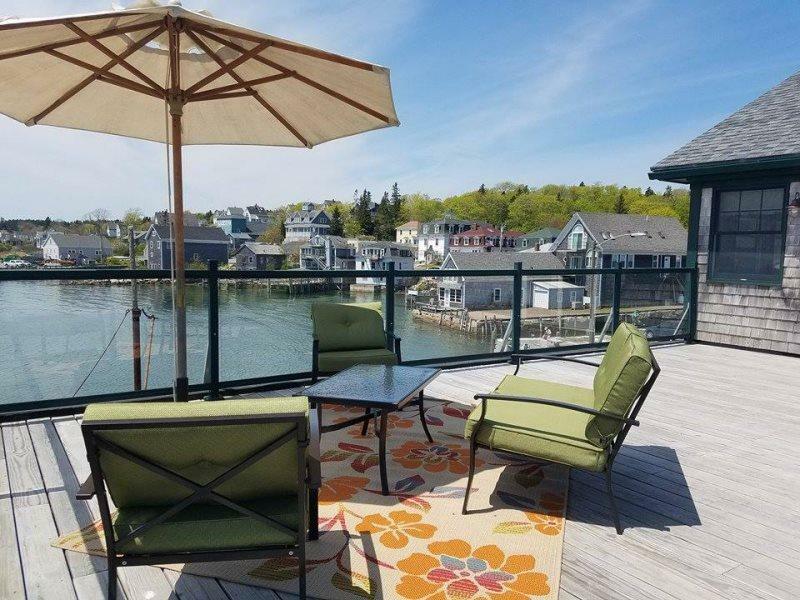 Fisherman’s Loft has a large deck with outdoor seating and beautiful views of Stonington’s quaint fishing village. The apartment has an emergency deck exit for guests if need be, but the private access on Atlantic Avenue will be the preferred access point for the daily coming and going from the apartment. If you are looking for a village retreat with ocean views, easy access to the public ocean frontage and new and clean amenities, then look no further. Fisherman’s Loft is just the spot for you. Inquire today for more information. Additional amenities include: panoramic views of the thoroughfare, short stroll to the isle au haut boat company, one mile to stonington's sand beach, close to the lobster co-op for fresh caught lobster, july - $1,000/week, 2 bathrooms - one full bathroom, one private master bathroom, september - $900/week, may - $900/week, thank you for not bringing your pets, august - $1,100/week, october - $900/week, ocean view deck, iron and board, lobster kettle, linens and towels, june - $900/week, 2 bedrooms - king bed, two double beds.